Products may be shown with sample engraving. please get in touch or see further details. 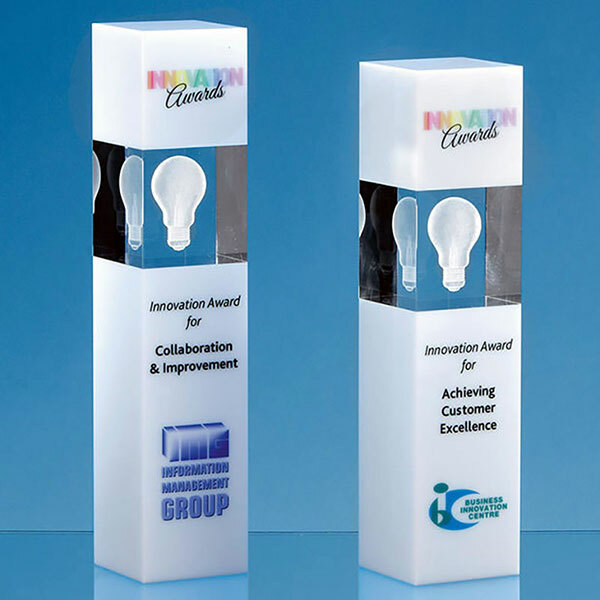 Distinctive white and clear crystal column that can be customised in a number of ways, including colour print as well as engraving onto the white crystal. 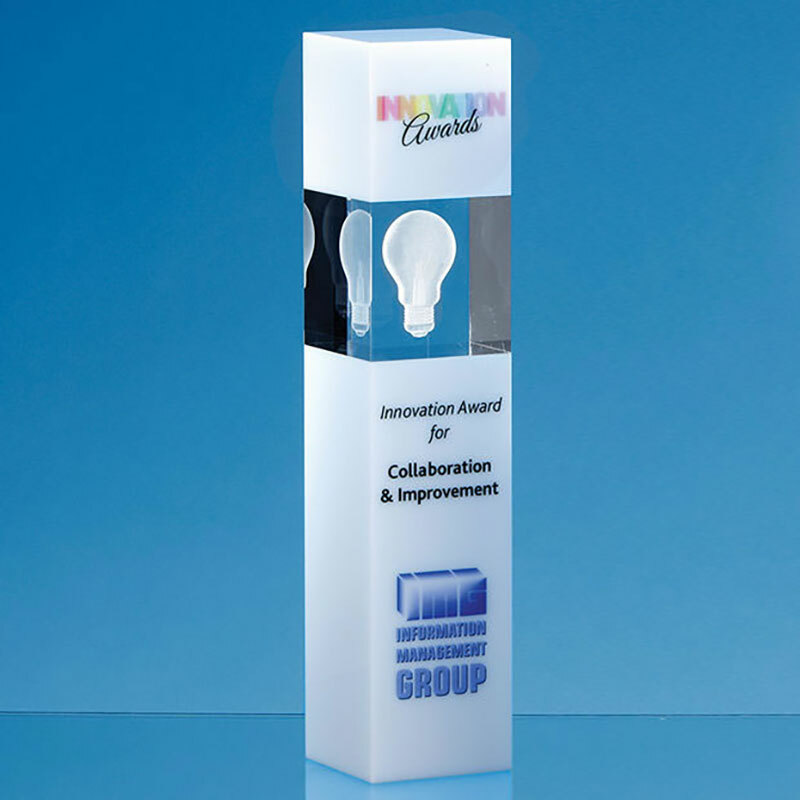 The product image also shows a 3D laser engraved light bulb in the clear crystal section, and we offer custom 3D laser engraving for this area (please contact us for details). Standing 24cm (9.5in) tall, these tower shaped awards are supplied complete with a quality presentation box. Product dimensions: H: 240mm, W: 60mm, D: 60mm. Weight: 2.2kg. See below for images of the six font options we offer as standard. Other fonts are available but please Contact Us first with the name of your preferred font and also your text. This website is owned and operated by Uppermost Business Gifts Ltd.